If you know something’s wrong, don’t take no for an answer from your doctor. “Women have known for years that having a baby can change or alter their hormonal cycles,” says Tangela Walker-Craft. “Because the thyroid is responsible for producing a hormone, some women develop hypothyroidism (that’s a condition in which the thyroid doesn’t produce enough thyroid hormone) after pregnancy.” Walker-Craft, who blogs at Simply Necessary Inc, suffers from postpartum thyroiditis, an autoimmune condition which results in the inflammation of the thyroid gland after pregnancy. Postpartum thyroiditis occurs within a year after giving birth. 1 in 12 women is living with postpartum thyroiditis, says Dr. Jolene Brighten, a Functional Medicine Naturopathic Doctor and a leading expert in post-birth control syndrome & hormonal birth control related problems. In the US, though, stresses Brighten, it’s overlooked and often mislabeled. Postpartum thyroiditis manifests in a number of seemingly random health issues, and 20-40% of people who have given birth present first with symptoms of hyperthyroid – that’s overproduction of the thyroid hormone, like having a ton of energy and losing weight quickly. Then the hypothyroidism aspect enters, with symptoms like fatigue, joint pain, hair loss, depression, and weight gain. “I see most women in the second part of this condition when they are gaining weight and can’t figure out why, “says Dr. Elizabeth Trattner. “This is around 6 months, when Mom is finally able to rally, get out of the house and realizes that there is an issue. Normally a patient is bounced around between their GP, GYN and a psychologist because most women are in between seeing those practitioners and it takes a while to make a diagnosis. Although this condition is rare, I have seen it in my practice, and many of the women go on to develop thyroid issues because they were either ignored by their doctor of brushed off as having postpartum depression and or anxiety.” After B gave birth to her third child, she knew something was up. “People kept telling me I was depressed, that I had gained weight because I’d just had my daughter, but it wasn’t that. I just wasn’t feeling like myself.” After numerous doctors dismissed her concerns, she finally found an endocrinologist who agreed to test her for a thyroid issue, which she did indeed have. Now, she’s on thyroid medication. Autoimmune diseases, like rheumatoid arthritis, often have a trigger, such overexertion, which causes inflammation, resulting in a recurrence of symptoms. In the case of postpartum thyroiditis, it’s the hormone fluctuation that comes with pregnancy and birth. 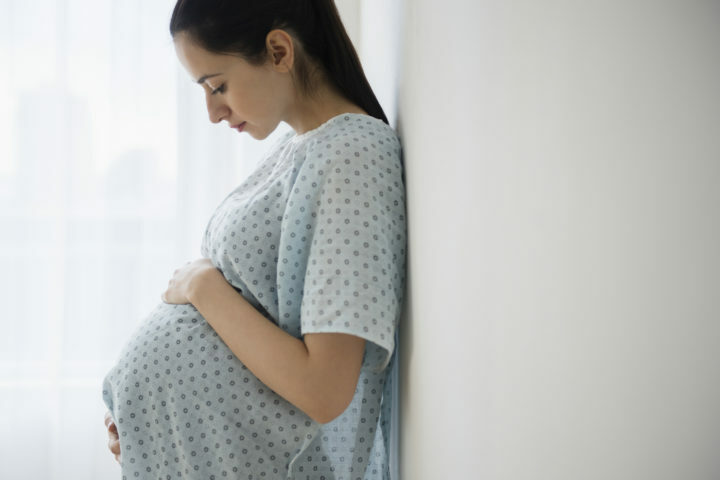 While postpartum thyroiditis doesn’t appear to impact your ability to get pregnant, 50% of those who have it will develop a permanent thyroid condition if they have another baby. It can be put into remission via an anti-inflammatory diet, including fish oil, which balances the immune system, and selenium, a mineral that’s essential in the production of thyroid hormones. Folks with postpartum thyroiditis will likely be told to avoid gluten, a common trigger for autoimmune diseases. 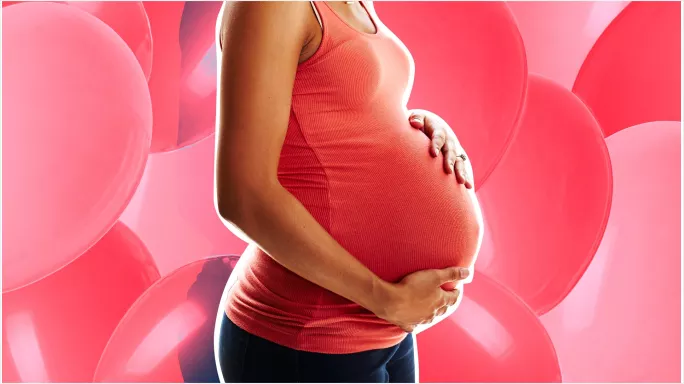 Prenatal vitamins can protect from flare-ups, as can Vitamin D. You might be put on synthetic thyroid medication, but that’s not necessarily permanent, depending on your case. Untreated thyroid issues during pregnancy can result in miscarriage and preeclampsia, as well as premature birth and low birth weight. Dr. Brighten recommends getting a full thyroid panel before you get pregnant, especially if you have a personal or family history of thyroid problems or autoimmune diseases. Your doctor may order a test for thyroid peroxidase antibodies (TPO). TPO is an enzyme found in the thyroid gland, and it plays a vital role in the production of thyroid hormones. The test checks for the presence of antibodies against TPO, and if you have those antibodies, the cause of your thyroid issues is likely an autoimmune disease. It doesn’t absolutely mean you have one, but it does mean you should be monitored regularly, because you could develop one in the future.